Coatings : How Do They Affect Your Lenses? Coatings are an important add-on to every spectacle lens. You&Eye gives you an overview to the two most important coatings i.e. scratch resistant coating and anti reflective coating. Coatings can be defined as a thin layer or a series of thin layer material applied on the lens surface. These coatings add value to the user experience in his vision, lens cosmetics and longevity. Most wearers may not even realise that their lenses come with coatings. This is quite normal as it’s unimaginable how ‘invisible’ these coatings can be. Coating layers are normally so thin that if one were to apply one hundred layers of coating it would be approximately as thick as a human hair! Anyways getting back to the reasons that coatings exist, it would be fair to compare them to add-ons to one’s car. A car on its own is fine but to make it perform better or look better one needs to have add-ons and this is exactly what coatings do to lenses. Although there are lots of coatings that could be added to make your lens a super lens, the primary ones that most lenses come with are ‘scratch resistant coating and anti reflective coating’. Glass lenses have been replaced by plastic lenses and due to their low density, plastic lenses are prone to scratches. Scratches on the lens can be unsightly as well as cause ‘diffuse scatter’ causing blurry vision. A scratch resistant coating goes a long way in protecting the lens as well as make it more durable. Different lens companies use their own technology to develop these coatings. ZEISS has developed a new high performance lacquer system due to the newly developed plastics for spectacle lenses. ZEISS uses a high index hard coating for the high index lenses ZEISS Single Vision AS 1.67 and ZEISS Single Vision Sph 1.6. The company claims that this specially matched coating provides the benefit of high adhesive strength and hence higher durability. At the same time, Essilor offers TITUS, a premium scratch resistant coating that their lenses use is a unique coating material i.e a proprietary nano-composite varnish which they claim is the best combination of hardness and flexibility. The flexible aspect of the coating is helpful as the coating then bends and acts as a shock-absorber when an object hits the lens surface. While scratch resistant coatings are referred to as hard coatings, AR coatings are called Multi Hard Coatings and they are always placed after the scratch resistant coating. The requirement for AR coating is primarily for the two most important functions of any lens i.e better vision and better cosmetics. A spectacle wearer is always surrounded by light sources and computer screens etc. And particularly annoying are those night driving sessions where the lights of the incoming vehicles and the reflections caused because of them can cause vision to be hampered. These can be a major source of reflections bouncing off the lens. Then again there are different types of reflections like the ones caused when light is reflected from the back of the wearers lens into the eye. Then there’s the corneal reflection where the reflections that occur on the cornea are reflected from the spectacle lenses into the eye and perceived as reflected images. All these phenomenon tend to reduce clarity and the contrast of object and hinder clear vision. And then the reflections that are caused in the front of the lens also prevent anyone from looking at the eyes of the wearer clearly and this can be pretty awkward cosmetically. To ensure clarity of vision as well as proper cosmetics, AR coatings play a very important role and almost all plastic lenses these days would have an AR coating applied on them. These coatings help in cutting down the reflections and helping the transmission of light to go beyond 99%. This is particularly useful in high index lenses as it has been seen that as compared to glass lenses, there is a marked increase in the proportion of annoying reflection in higher index lenses. Hence an AR coating is a must for medium and high index lenses. Unhindered visibility of the wearer’s eye is possible i.e. spectacles have a better cosmetic appearance. The transmission of the lens is increased. The wearer has a clearer view of his surroundings. Amongst the well known AR coating products you have LotuTec from ZEISS and Crizal from Essilor. LotuTec is the innovative ZEISS spectacle lens coating that provides a clearer view. They also include a water and grease-repellent coating which delivers a strong beading effect that significantly simplifies cleaning. 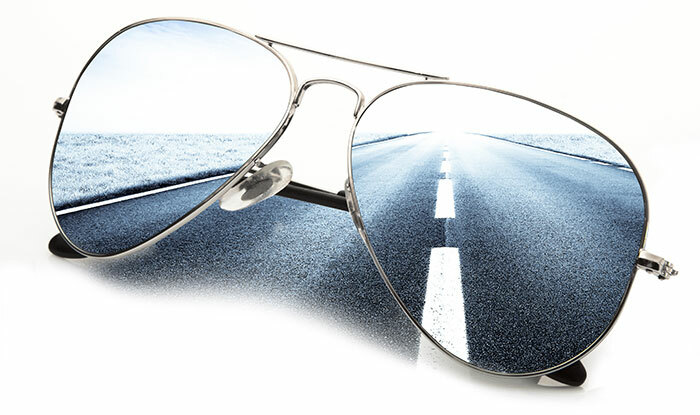 The Super ET broadband anti-reflection coating eliminates irritating glare and reflections. The hard coating makes the lens surface tougher. The AR coating from Essilor is the well known and widely used brand CRIZAL. The company claims that its success is mainly because of its superior technology and process. The material used for the coating is called Zirconium, a superior and tough material which, according to Essilor, has a maximum light transmission of 99.2%. CRIZAL restores the contrast of images and dramatically increases the visual comfort for a lens wearer especially while driving at night. There are other coatings too available that can help in better vision based on requirements. There’s the hydrophobic coating which repels water and makes the lenses easy to clean, anti-static coating that resists dust, anti-fog coating, UV coating and a newer technology coating that cuts down the harmful blue light that most digital gadgets emit. Better understanding of coatings can only benefit and increase your experience and satisfaction of wearing a spectacle lens. The best guide for you, to get your queries answered, is always your optometrist. Make sure you get to know more during your next visit to your optician!